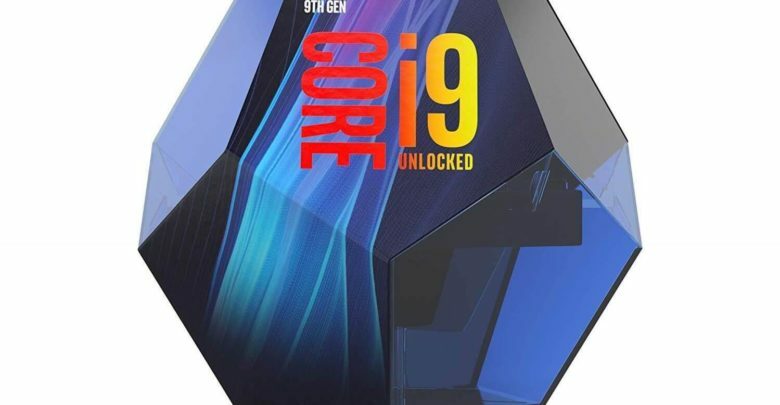 With the launch of the Intel 9th-gen Coffee Lake CPUs right around the corner, leaks and rumors are bound to trickle out. 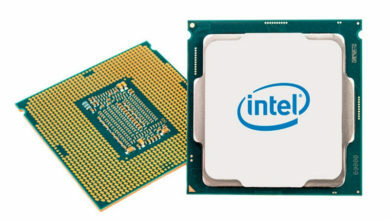 Recently, an internal memo on the availability of the new Intel CPUs has surfaced online, which reveals a set of presumptive dates for NDA, review and shipping dates. 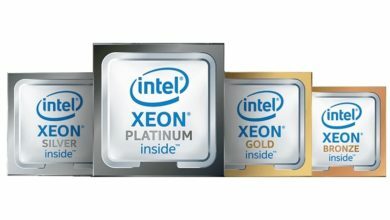 Intel has long been expected to launch its first 9000-series processors later this month. 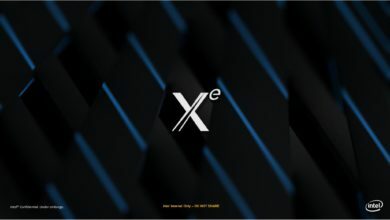 The lineup will feature at least two eight-core CPUs, the Core i9-9900K and Core i7-9700K, and a six-core i5-9600K part. Other models will arrive on a later date. 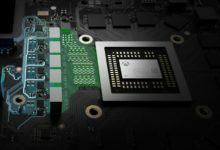 The leaked memo, if authentic, says the next-gen Intel processors will be up for pre-order on the 8th of October, with press reviews breaking cover on the 19th. 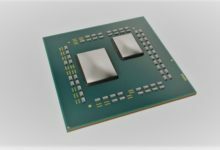 The CPUs will be put on sale on the same day. 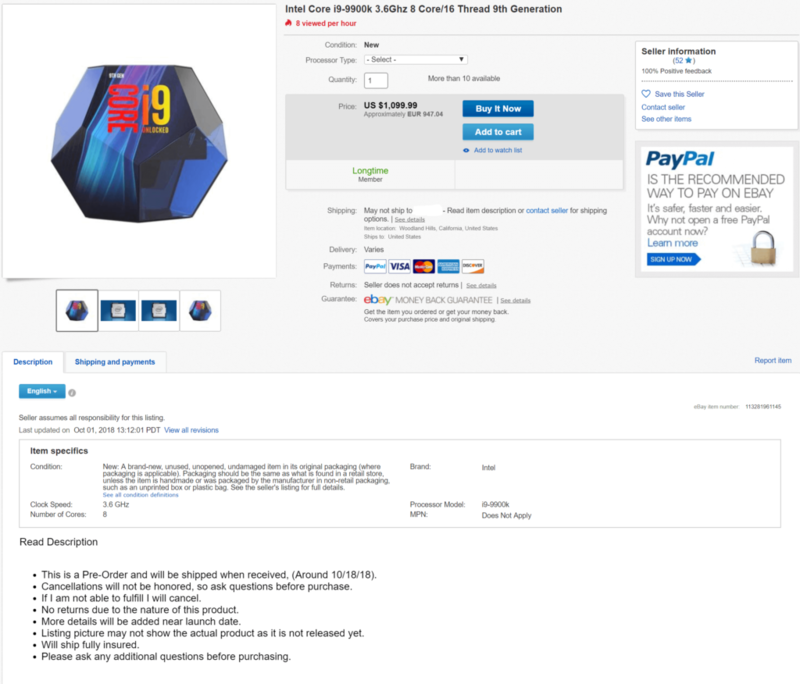 As it turns out, someone has already started taking pre-orders on Intel’s latest and greatest Core i9-9900K. 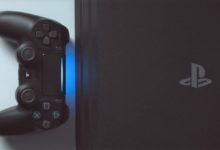 According to the Buy It Now listing on eBay, the CPU is available in both tray and boxed format, and will be shipped on October 18, which matches the leaked memo. The new Coffee Lake-S flagship, however, is priced at a whopping $1,099.99, which is almost double the $582 from the previous Amazon leak. But this is fairly common with such listings where speculators are trying turn a quick profit off of enthusiasts who can’t resist getting their hands on Intel’s highest tier CPU. 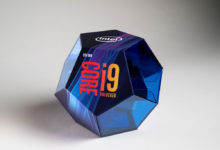 Built using Intel’s 14nm++ process, the Core i9-9900K is an eight-core, 16-thread CPU running at a base clock of 3.6GHz. 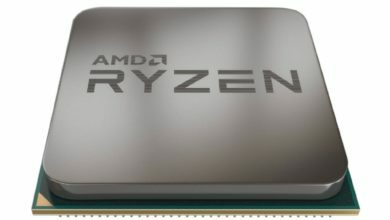 It can boost up to 5GHz on a single core and 4.7GHz on all cores. The chip sports a 16 MB L3 cache and 95W TDP. In terms of performance, it surpasses the competing Ryzen 7 2700X by ~16% margin in SiSoft Sandra. It is yet to be seen how the ongoing 14nm supply issues affect the availability and pricing of the Intel 9th-gen series, especially the company’s first-ever octa-core mainstream CPU. 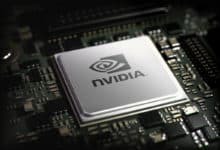 Traditionally, a new generation of CPUs are not readily available at launch, but the exisiting shortage could simply aggravate the situation.